It’s been six months since I moved from England to Italy. Time flies! Many things have happened over the past half year. Some of them amazing, others much more ordinary. All of them have made my life here in Vicenza one of constant discovery. So as not to forget any of them, I sat down and made a list. Then after some thought and careful consideration I condensed the list to the 50 things that I love about Italy. In no particular order these are the 50 things that every morning make me wake up with a smile, throw the windows open and (almost) burst into a canzone (that’s a ‘song’ for those of us who haven’t mastered the language yet). So, without further ado, here is the first half of my list. Consider each point in it a step forward in my discovery of the country, its people and its way of life. 1. The Sun – as in the celestial body, rather than the newspaper, but if you have lived in Britain for any length of time (13.5 years in my case), it’s OK if you thought of the news publication first. So rare are the appearances of the natural light source there, that at one point I suffered seriously depleted vitamin D reserves. I am pleased to report that since moving to Italy the sun is not shy to shine on my street every day. Yes, even in winter! It makes me feel so much more alive. 2. Family Breakfasts – thanks to shorter commuting times and flexible working hours, we have breakfast together as a family on five mornings of the week. This has rarely happened before, as one of us had to leave before dawn in order to get to work on time. 3. Warm-Hearted Neighbours – who lean through the window for a little chat when they see you coming home. Who also helped us when we accidentally locked ourselves out of the house right before we were due to leave for a day trip. 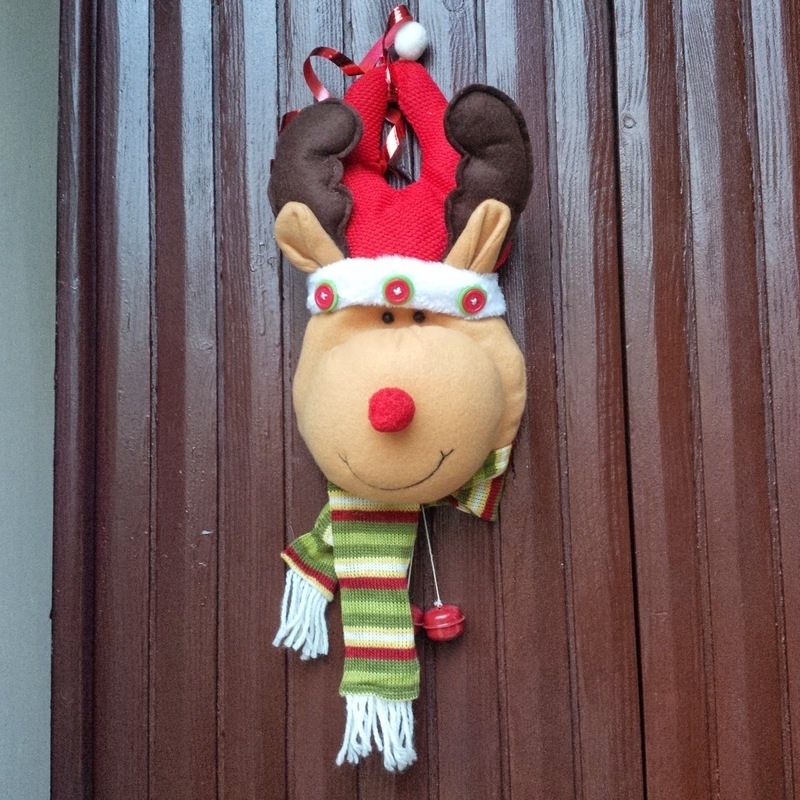 And who adorn the shared front door to mark forthcoming events – from Christmas through St. Valentine’s to the change of the seasons. The current decoration is a white heart with a red ribbon, but we have had a witch, a reindeer (shown), a fairy and many more. 4. 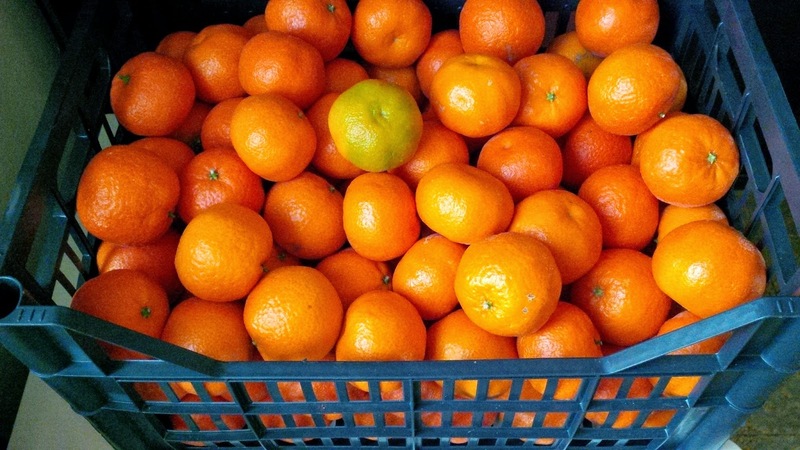 Fabulous Fruit – a 10 kg crate of tasty, seasonal fruit costs less than a tenner (of euros at that). Apples that crunch with sweetness. Calabrian clementines that are so succulent you actually see the juicy globules moving under the tender white skin, waiting to burst open in your mouth. Huge bunches of grapes still warm from the Italian sun. There is nothing of that sour taste of fruit bought from a supermarket after having been picked still unripe and then languishing for months in refrigeration depots. 5. Italian Music – yes, there is some fabulous music being made here. Songs that talk about ‘amore mio grande amore‘ and fill your heart with longing. Songs that are so full of life that you can’t stop humming them in spite of not understanding the lyrics completely. Everybody now: ‘Sabato, sabato, e sempre sabato!’. 6. Italian Local Radio Stations – they rock! I mean, this is the type of radio station that plays a happy mix of the most current music interspersed with long overlooked but still absolutely great songs by Sandra (remember her?! ), Olive and a bunch of other popular in the 80’s and the 90’s artists. They even play Depeche Mode! Oh, and the DJ’s sing over the songs when they are in an especially raucous mood. It’s all so cheesy and retro and yet it works fabulously well, making me keep the radio on all day. 7. Attitude to Children – children are loved in Italy. They are never a nuisance. People actually smile at children, say ‘Ciao!‘ to them and congratulate the parents on their beautiful child. Not to mention that every time we go to our local deli my little daughter gets treated to a sweet or two. 8. 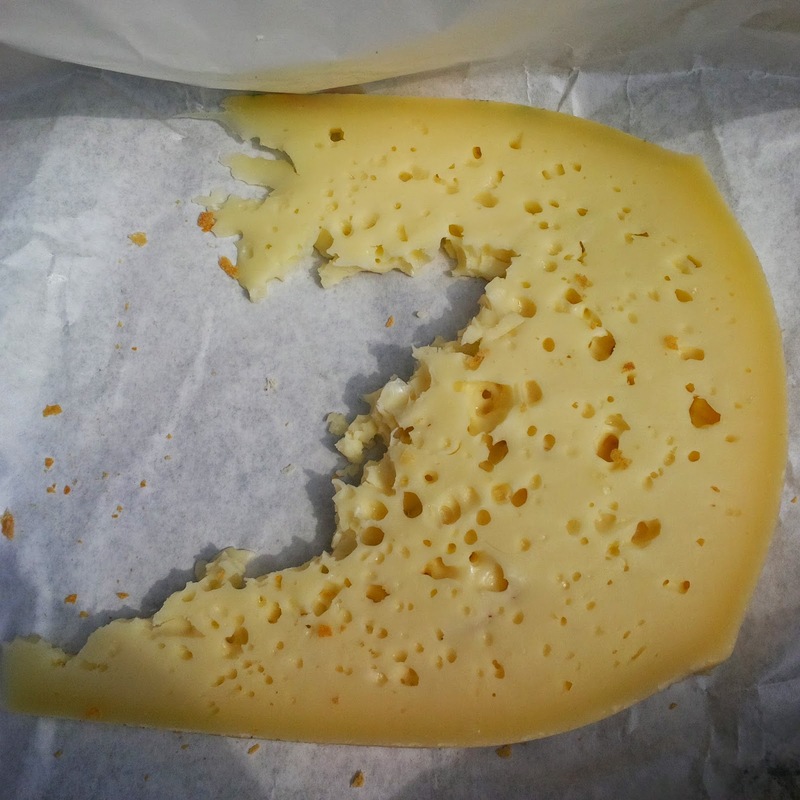 Asiago Cheese – yummy! Give me fresh Asiago cheese any day of the week. Actually, any time of the day would be even better! If there is a shop selling it close to where you live, make sure that you try it. It melts on the tongue, it grills to perfection and it just goes with everything. Cheese-tastic! 9. 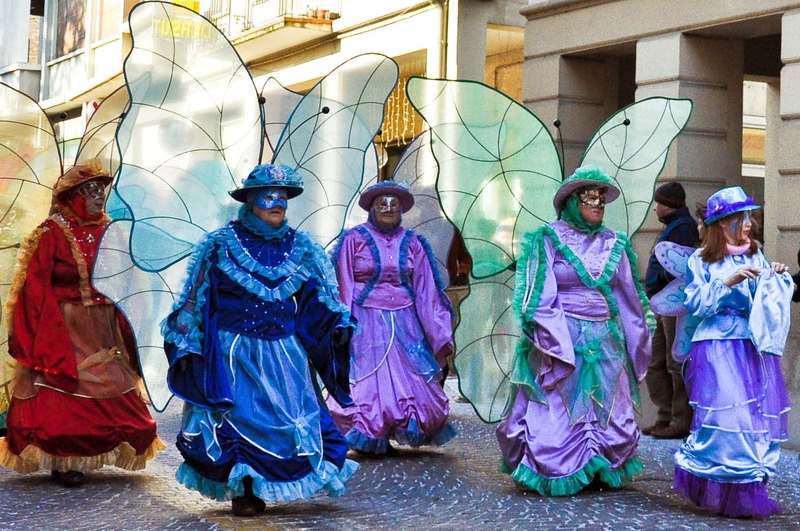 Carnival – I love how everyone gets in the spirit of Carnevale. Young and old don costumes and masks, go out of the house, smile, throw confetti at each other and have a wonderful time. No, you don’t have to look cool. You don’t have to be aloof. You don’t have to be of certain age or size. There is a general feeling of happiness and lightheartedness and absolutely everyone is welcome to join in and enjoy it. 10. Mixing taps – this is the life! You open the cold water tap, then the hot water tap, adjust the jet to the perfect temperature and then… blissfully wash your hands. It’s a small thing, but anyone who has had to use the separate hot and cold taps in Britain, which freeze one of your hands whilst scalding the other as you try to splash water on your face first thing in the morning, would herald the mixing tap as one of humanity’s greatest achievements. 11. 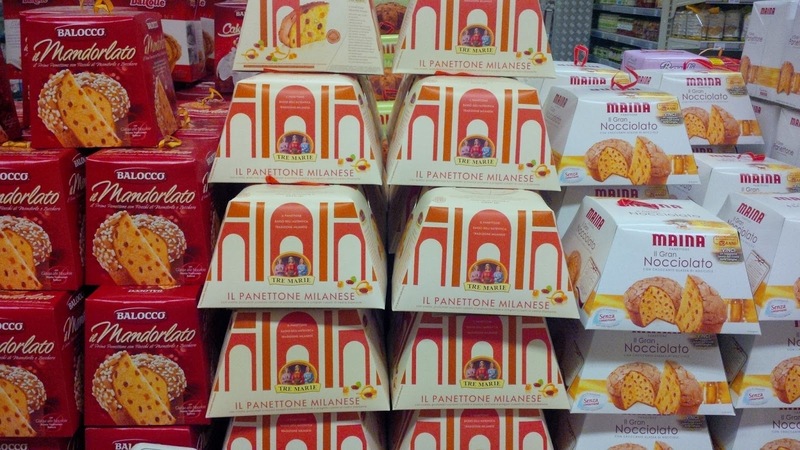 Panettone – this traditional Italian Christmas cake is so delightful to look at, smell and ultimately eat in big soft pieces torn off its sultana-rich perfectly baked flesh. A friend of ours cuts off the top of a panettone, then scoops it out, fills it up with ice-cream, puts the top back on and places the cake in the freezer for an hour or two. Then the panettone is baked to a golden glow and eaten still warm from the oven. Mmmm! I can’t wait for it to be Christmas again. 12. Traditional sagre – (sing. ‘sagra‘) these are local festivals which highlight a particular foodstuff – from truffles through pumpkins to cod – and are an opportunity to celebrate a product which is traditional and/or unique to the respective region, area or village. They are also a reason for the community to get together and have a fabulous time feasting on some lovely food, dancing and supporting the local produce. 13. Astounding Architecture – I struggle to describe the feeling that fills my heart and soul every time that I walk around the centro storico of an Italian village or town. It’s like the beauty of the centuries-old buildings and squares makes you feel beautiful inside. 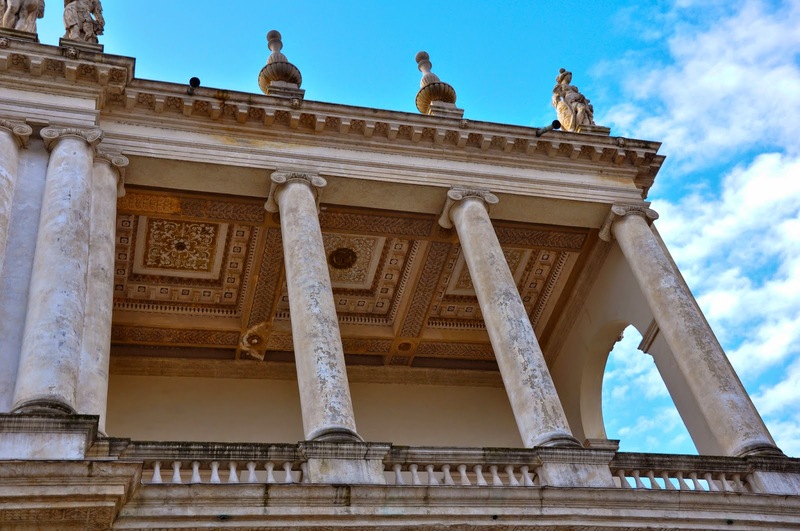 Vicenza herself is synonymous with the works of Andrea Palladio – he, who has been recognised as the most influential individual in the history of Western architecture and as the Father of American architecture. 14. Pesto – ah, this aromatic oily paste has saved many a meal, adding its basil goodness to plain pasta and transforming it into a veritable feast. We are truly spoilt, too as apart from the traditional green pesto, shops here stock all sorts of variations. Ricotta and walnuts pesto, anyone? I have taken to pesto like duck to water and have started using it in many different ways. Just a simple suggestion: spread a thin layer of pesto on a piece of freshly toasted bread. Carefully position on top a thinly sliced piece of Asiago cheese or any other fresh cheese. Enjoy! 15. Christmas – Christmas here is not a massive commercial build-up to one day of pure gluttony. Things are much more family-centred and the 12 Days of Christmas are properly observed. There are fabulous Christmas markets, too and the Nativity scenes (both living and church-based) can bring tears of tender emotion to your eyes. 16. 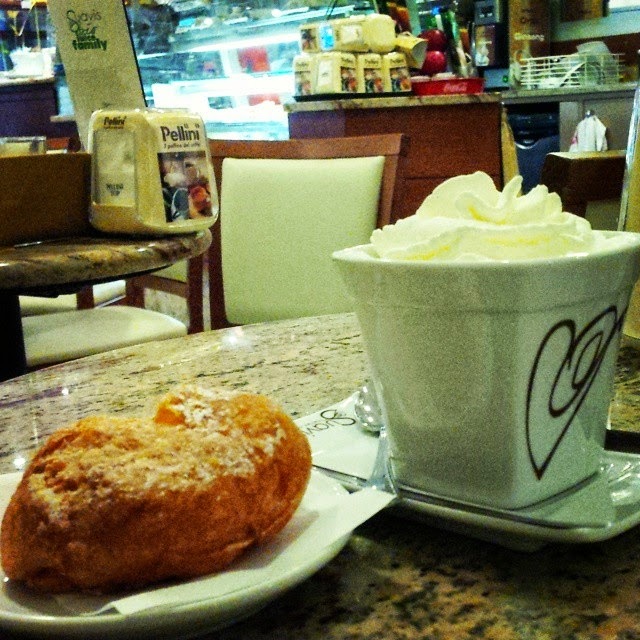 Hot Chocolate – thick, tongue-pleasing and heart-warming. The best hot chocolate you can come across this side of the Universe. Served in small portions, it’s like they have taken a piece of the finest chocolate you can imagine and then slowly, very slowly melted it just for your personal pleasure. Best enjoyed in small spoonfuls and good company. Add whipped cream only if you are feeling particularly decadent! 17. The Arts – the most amazing thing about Italy is that it brings you unmeasurably closer to people and events that have shaped our creative thinking and whose works stimulate our imagination and delight our eyes. 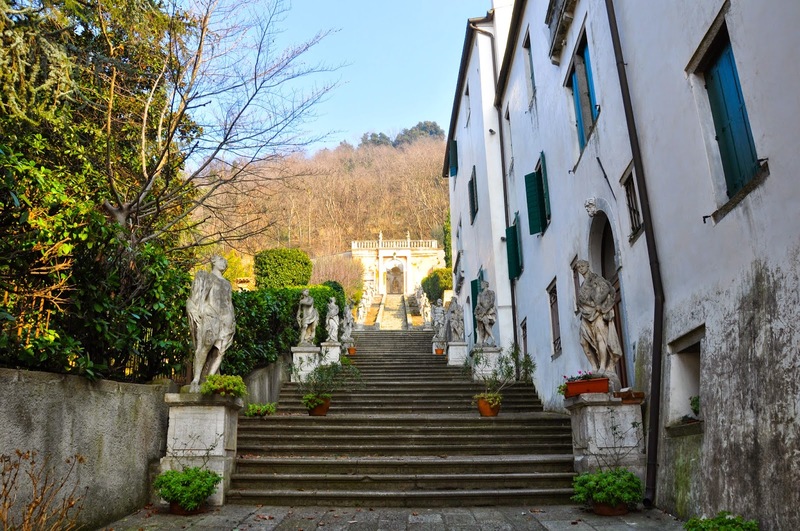 Within an hour drive from us is the place where Petrarch spent the last years of his life. It is fabulously easy, too on the spur of the moment to go and see masterpieces by Veronese, Tintoretto and Giotto, to name but a few. 18. High Ceilings – I love how high are the ceilings in our Italian flat! It gives me space to throw my hands high up in the air to show my happiness or other positive emotion. It makes me understand why Italians use their hands so much when they speak – they have the available space. Most homes in Britain come with ceilings that are so low that if you are tall and stretch your arms, you will just about touch them. It makes the houses there cozy, but they can feel suffocating when it rains non-stop for days outside. 19. Venice – Venezia is truly my most favourite place on Earth. 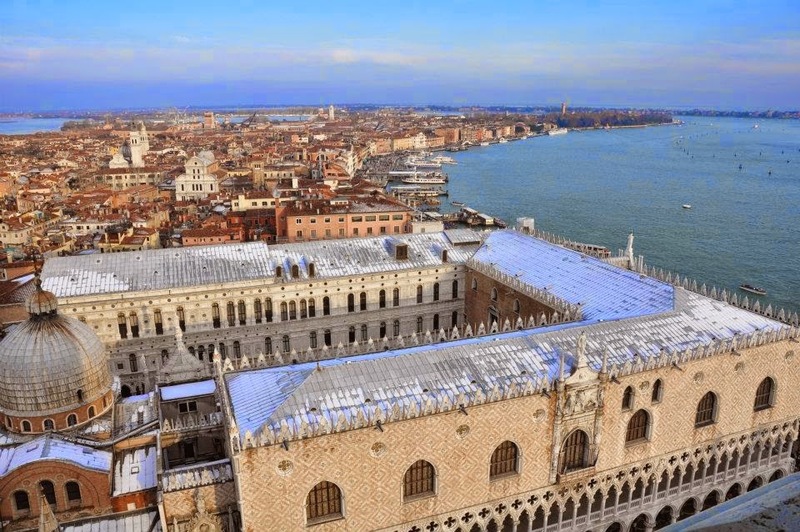 Fragile as it is, Venice is the triumph of the human mind over an inhospitable habitat. How else could you describe the creative and engineering ability of people to turn some infertile marshes into a fairytale of a city that seemingly floats on the waters of the lagoon?! 20. Jewellery – Italian jewellery is second to none. Ground-breaking design meets jewellery-making skills honed through more centuries than you can count on your fingers and toes. 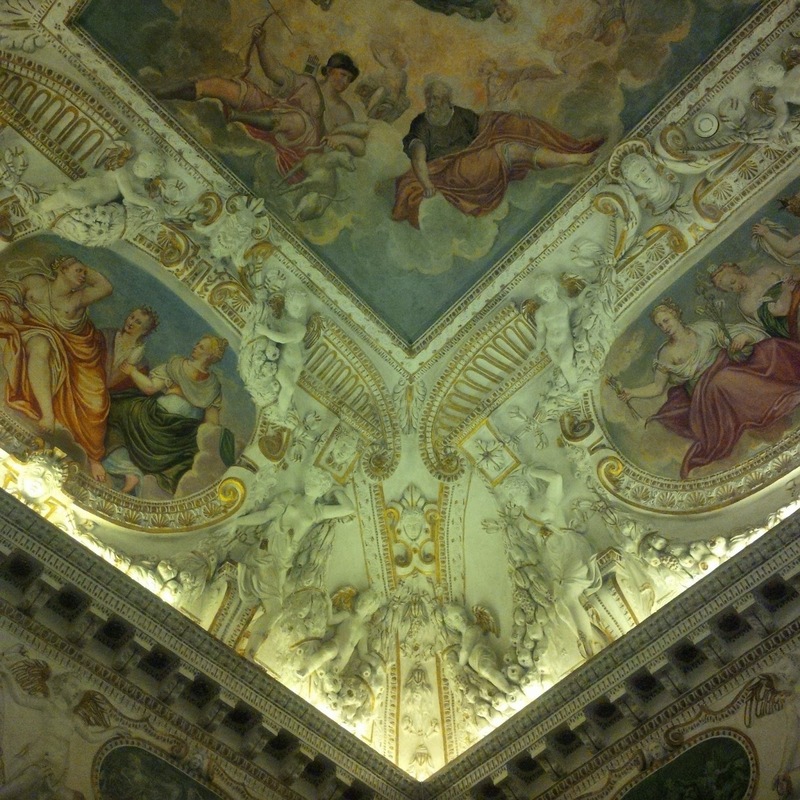 Add to this the amazing Museo del Gioiello which opened its doors right before Christmas in Vicenza. I also love the jewellery shops dotted around the old part of town which house a jewellery-making studio at the back and where you can chat to the owner about his gem-sourcing expeditions all over the world. 21. 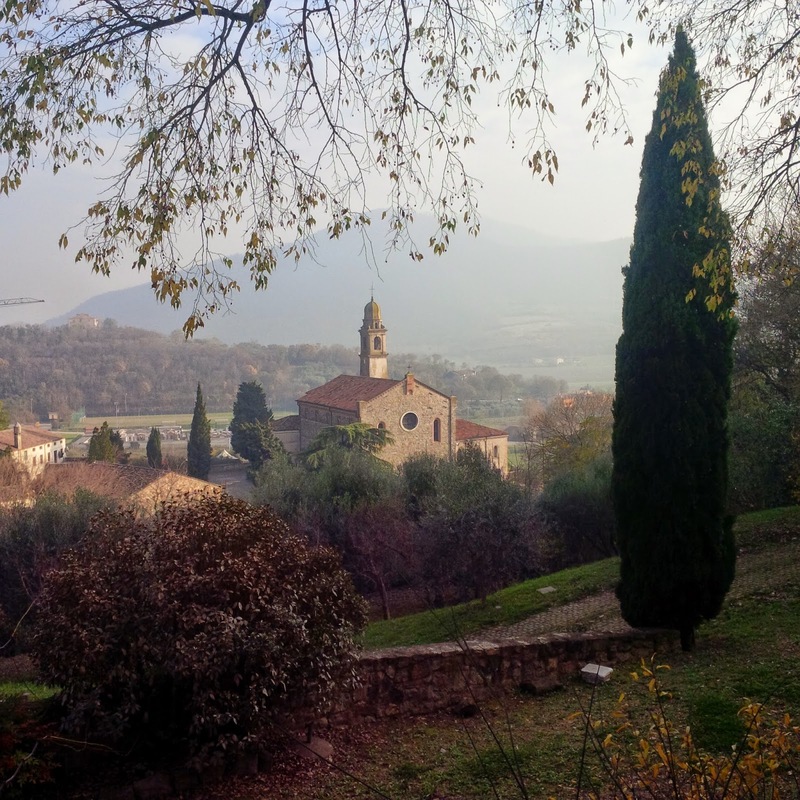 Fabulous Vistas – in Italy you are never far from some truly amazing countryside. Around Vicenza we can admire the proud pre-Dolomites which only this morning were bathed in the most fabulous gold sunlight beautifully bouncing off their snow caps. And once you are in a village or town, make sure to climb to the highest spot there is – be it a belltower or a medieval city wall – and feast your eyes on the view which will stretch all the way to the horizon whilst your hair gets ruffled by the wind. 22. No Cards – sending cards for different occasions was one of the British traditions I found hard to adopt. I would quite often forget to buy a card for someone’s birthday and one or twice, I admit it, I forgot to pick a St. Valentine’s card for my other half. I like it that here in Italy there is no expectation to send or receive a card, so for Christmas we didn’t send any. This freed up so much time! Did you know that each person in Britain buys on average 55 cards per year? Just think of the trees! 23. Walled Towns – I love it that less than half an hour from where we live there are several towns with a beautifully preserved medieval wall holding them in its embrace. 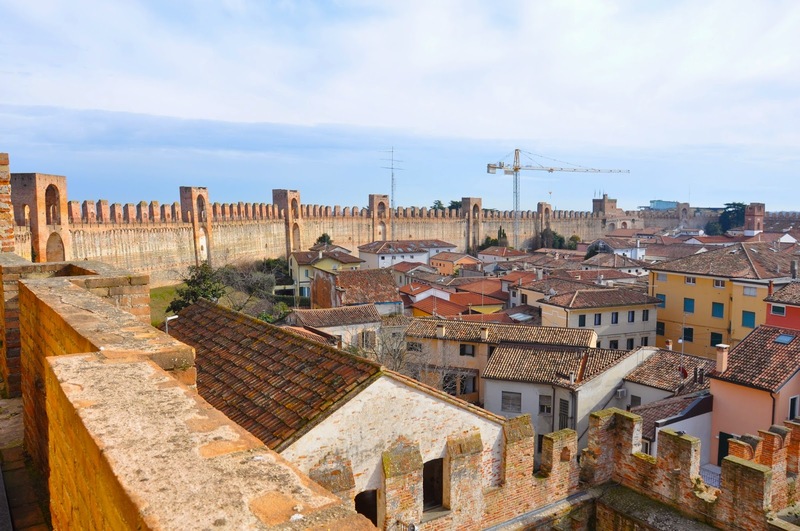 Marostica, Monselice and Cittadella are picture-perfect and soul-inspiring. Walking around them is like immersing yourself in history. 24. Olive oil – the real thing! The type that smells of freshly squashed olives and its colour is intensely green. The olive oil that makes your food taste authentic and good, no matter how simple the ingredients. You may just boil a pot of pasta, drizzle it with olive oil and sprinkle it with some proper Parmigiano-Reggiano cheese and feel like you are feasting like a queen. 25. 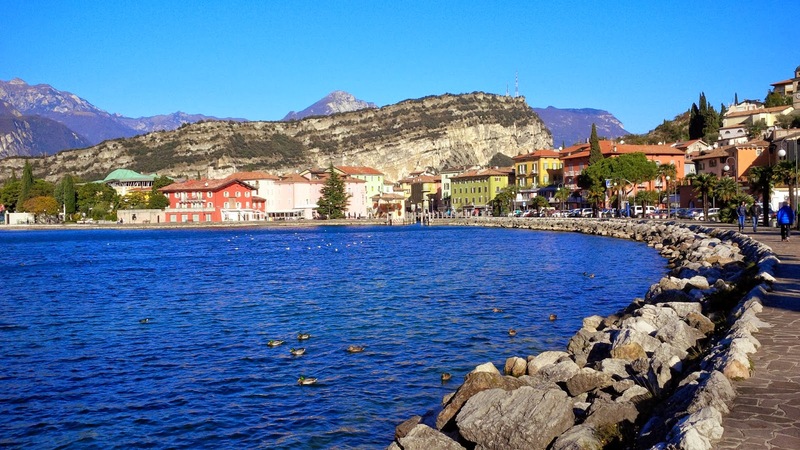 Lake Garda – Italy’s biggest lake will always have a special place in my heart. We spent our mini honeymoon circumnavigating its shores and fell forever in love with the blue beauty of the place. Want to feel inspired? Need to set yourself free from the chains of daily stress? Lake Garda will not only heal you, but it will also show you that there is happiness to be found in a slower pace of life. In no particular order these are the first 25 things that I love about Italy and my life here. 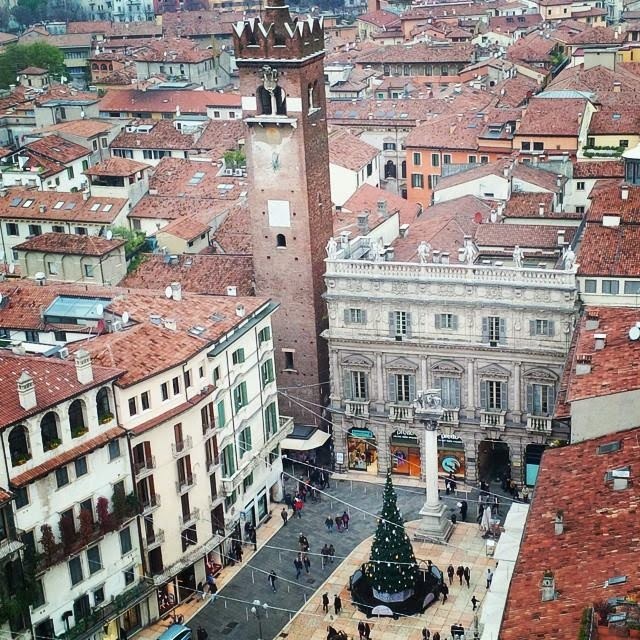 Stay tuned for the second lot of 25 reasons that make me happy to have moved to Vicenza six months ago.